The smart backpack not only conveniently holds your essential, but also offers extra energy for them, and you can also monitor them via your smartphone. Sounds cool? Let’s go on checking AMPL SmartBag, a smart laptop backpack. 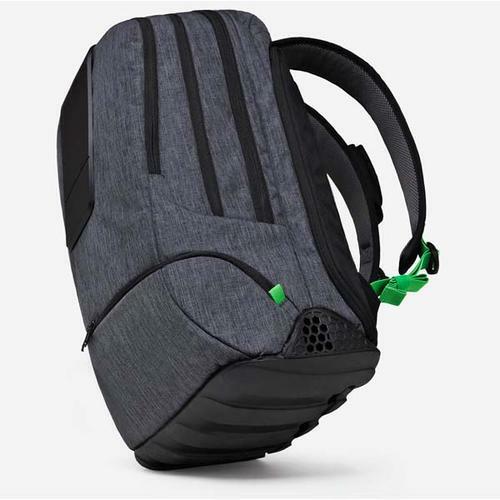 The SmartBag is a versatile app-enabled smart backpack. As shown in the images, the laptop backpack sports a low-key and stylish design, and its tough Nylon exterior is reinforced with an extra layer of foam padding, and lined with an advanced water-resistant coating in order to securely hold your laptop, tablet and other devices. 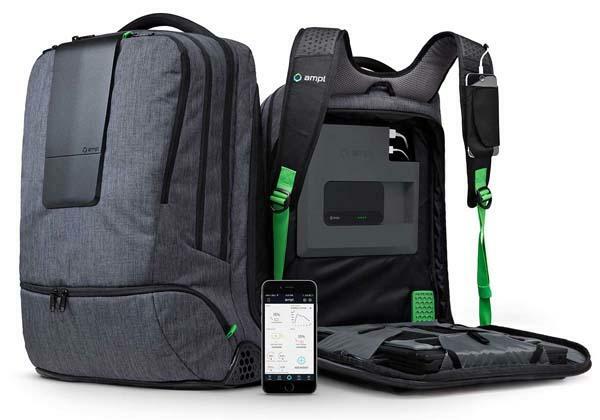 Moreover, the smart backpack features an intelligent power management system and integrated SmartBattery backup battery that allow to charge your laptop, phone, tablet and other gadgets via 7 USB charging ports. Apart from that, SmartBag also features an integrated OLED display that shows you vitals, and built-in Bluetooth LE 4.0 allows the backpack to wirelessly connect with your smartphone, and its mobile app displays real-time battery levels, lets you adjust charging priorities, additionally, in-built sensors track power flows, weather conditions and keep the backpack always with you. The SmartBag smart backpack is priced at $299 USD, and two optional power banks for tablet and laptop will set you back $59 and $139 USD respectively. If you’re interested, jump to AMPL official site for more details.